Shanghai began as a fishing village in the 11th century, but by the mid-18th century it was an important area for growing cotton and by 1800 it was becoming the largest city in China. Foreigners came to Shanghai due to foreign trade after the Opium Wars. The British, along with the Americans and French, were allowed to live in certain territorial zones without being under the Chinese laws. As a result of all the foreigners, Shanghai became greatly influenced by Western culture, but things changed dramatically after Communism took over. During the 1900s, opium sales along with the gambling that went with it brought in very big profits. After the end of Shanghai’s subjugation by the Japanese, the Nationalist Chinese government was given control of the city. The foreigners no longer had control and by 1949, Shanghai was transformed by the Communist Chinese government. As the foreigners left, the businesses that were left behind were one by one taken over by the government. After losing ground during the Cultural Revolution from 1966 to 1976, Deng Xiaopeng’s open door policy allowed advancement back to being an international force in business and finance. 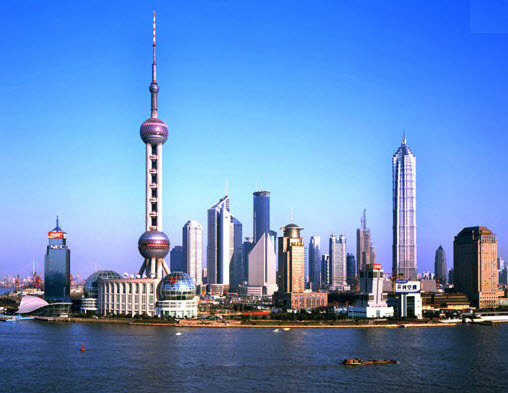 Shanghai is situated at 31’14’ north latitude and 121’29’ east longitude (similar to Seville, Spain and Savannah, GA). Bordering on Jiangsu and Zhejiang Provinces on the west, Shanghai is washed by the East China Sea in the east and Hangzhou Bay in the south. North of the city, the Yangtze River pours into the East China Sea. It also assumes the central location along China’s coastal line. Thanks to its advantageous geographic location, Shanghai has today become an excellent sea and river port, boasting easy access to a vast hinterland. So – are you practising your Mandarin? ?